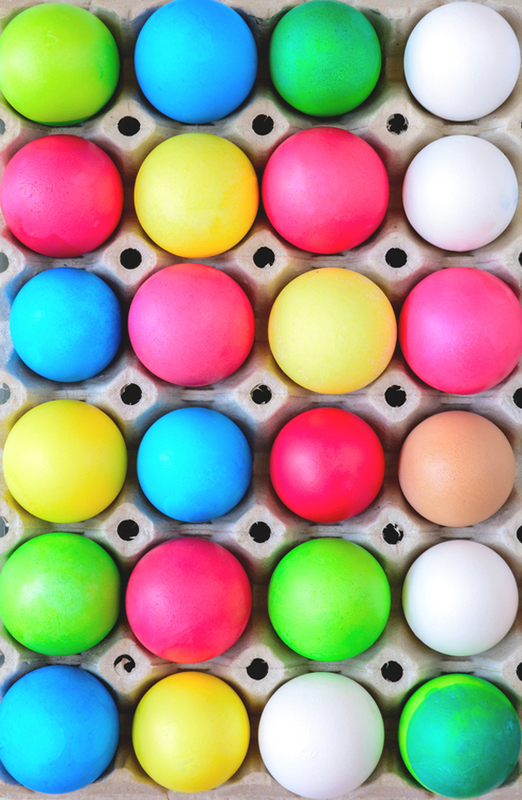 Instead of dipping the eggs in color, put the food dye directly on the eggs. 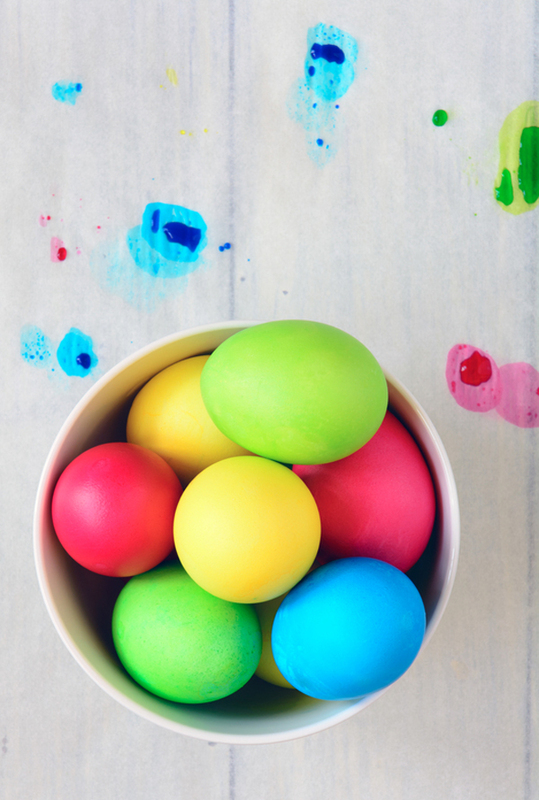 Paint your eggs instead of dipping! Genius right? Start by dipping each egg in a bowl of distilled white vinegar. 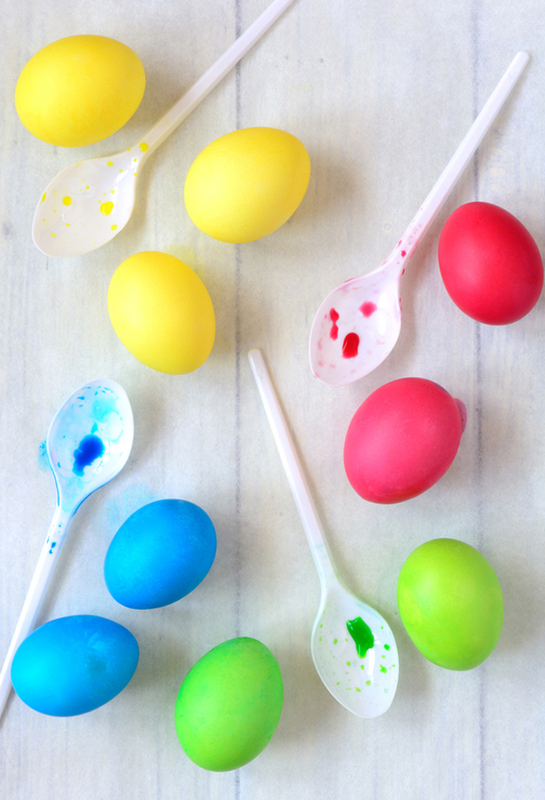 Place the vinegar-covered egg on a small plastic spoon over a bowl and drop a few drops of food coloring directly onto the egg (or paint on gel food coloring). Roll the egg around a little in the spoon (with gloves on) to ensure it is covered completely. That’s it! That’s the crazy easy trick for getting a bowl of the brightest eggs you can imagine this year. Those colors are gorgeous and so vibrant! We usually get brown eggs from a farmer nearby and in the past I’ve picked up a dozen white eggs in the grocery store to dye, but with this method, I should be able to use our yummy brown eggs!